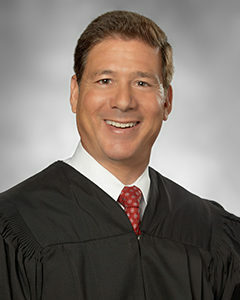 Judge Trentacosta was appointed by the Supreme Court as a CJEO member in 2013. He joined the San Diego County Superior Court bench in 2001 where his judicial assignments have included criminal trials, domestic violence, drug court, and the superior court writs and appellate panels. Judge Trentacosta has served as the presiding judge of his court, and as the supervising judge of the juvenile delinquency and criminal divisions, the chair of the new judge orientation committee, and as an executive committee member. His judicial ethics experience includes serving as a special master for the Commission on Judicial Performance and chairing the California Judges Association (CJA) judicial ethics committee. Judge Trentacosta has served the judicial branch and the public as a member of the Judicial Branch Futures Commission and as vice chair of the Judicial Council Trial Court Presiding Judges Advisory Committee. He has also chaired the revenue and expenditures subcommittee and served as a member of the trial court budget, efficiency, and statewide facilities working groups of the Judicial Council. Judge Trentacosta has been actively involved with the California Center for Judicial Education and Research as an instructor and curriculum author at the Supervising Judges Institute and as the chair of the judicial branch leadership development committee. He is an adjunct professor of law at California Western School of Law and has been member of the University of California San Diego medical ethics committee. Judge Trentacosta received the Bernard E. Witkin, Esq., Judge of the Year Award in 2013 and the Hope Award for establishing San Diego Superior Court Behavioral Health Court in 2010.